The subject of Marisa Purcell's artwork cannot be found in her paintings but comes about through the experience of them. Their meaning resides in the illusory spaces created between the swathes and splashes of brilliant saturated colour, and the bold and ghostly forms that spill out from her canvases to permeate the viewer. Purcell describes these illusory voids as liminal spaces, and thinks of them as active zones which cross time and space, and in which artist and viewer meet and interact. 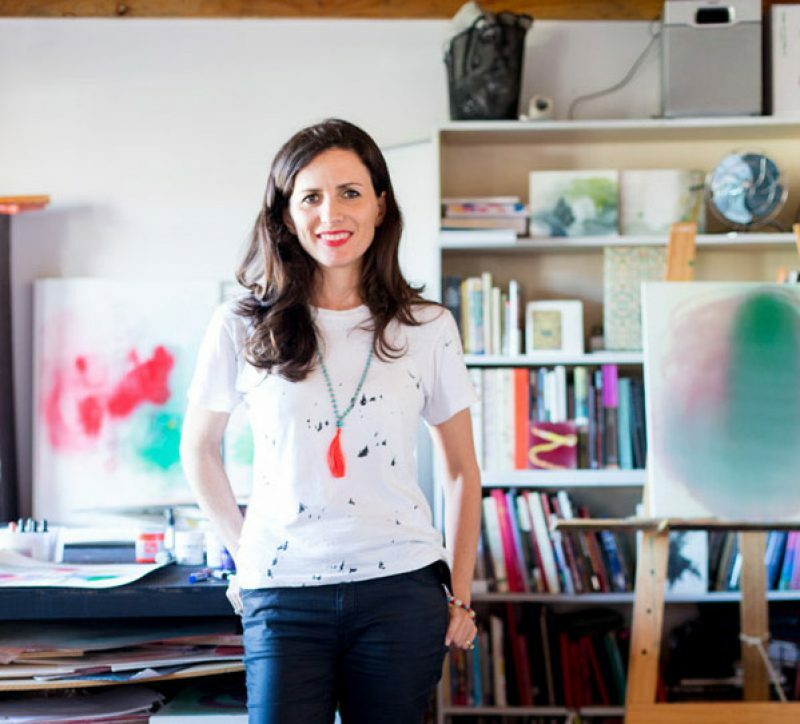 Long interested in the processes of art's reception, she draws inspiration from the example of artists across history - from Fra Angelico to Rothko - who similarly exploited the mystical power of painting to embody spiritual sensation. Purcell works instinctively and experimentally to the same end, constantly paring her work back to essential motivations. In their final iterations, her ephemeral and aesthetically sophisticated compositions gesture towards an experience of the profound that is available to us all.